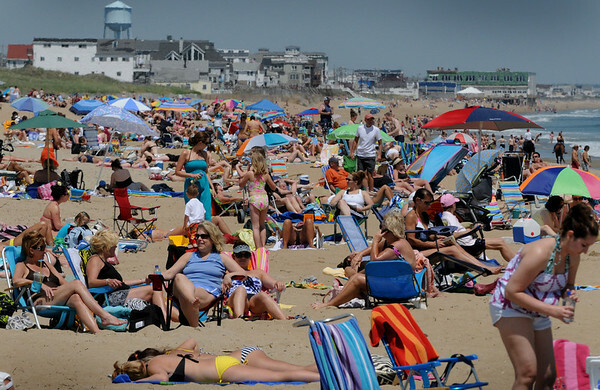 Salisbury: It certainly was a "day at the beach" at the Salisbury Beach State Reservation as hundreds enjoyed the temperatures that were into the 90's. The Memorial Day weekend will be not quite as warm and presents a small chance of a shower. Bryan Eaton/Staff Photo Newburyport News Thursday May 21, 2009.